It assumes that you have a good background of running and you are familiar with basic training methods. You should also be quite fit when starting the plan, a month or so of 20- 50 minute easy runs 6 days a week will ensure your fitness is sound and if you have just run another marathon it’s worth taking a couple of weeks off first. This is my personal take on marathon training based on training of many of the best marathon runners around. The training is high quality and is based on one target session a week alternating between a race and a fast long run. The races are an opportunity to run faster than marathon pace for a sustained period. Races present favourable conditions such as running on traffic-free routes with people of similar ability which might be hard to find otherwise. The fast long runs are intended to get the body’s energy systems adapted to running 26 miles without breaking down. These runs are just run at a relaxed sustainable pace where you concentrate on running as fast as possible without straining and with consideration to pacing in order to cover the remaining distance left to run. After a long run or race good recovery is essential! 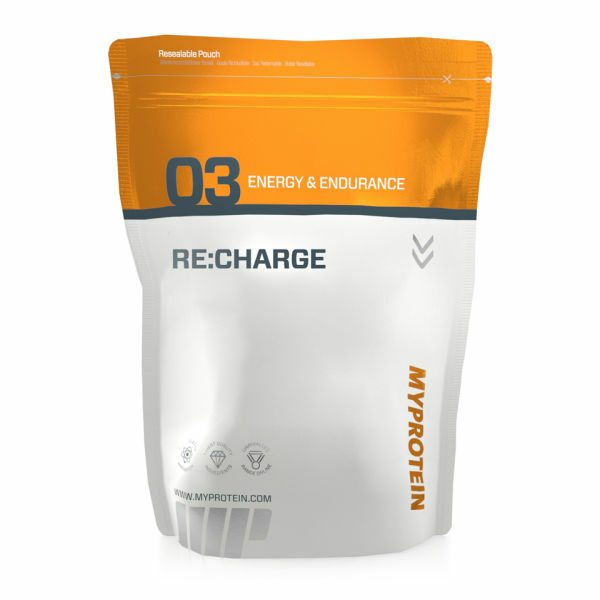 Eat a meal rich in carbohydrate, protein and good fats as soon as you can after your run, and if this isn’t possible within 20 minutes of completing the run, try a MyProtein recovery product such as RE:CHARGE. Other essential supplements for Marathon training include Whey Protein Plus, Total Nutrigreens, BCAA’s and L-Glutamine which assist in a quicker and fuller recovery to train harder and faster more frequently. The other speed sessions are relatively low volume and high quality. This is because the weekend sessions are very tough and recovery is essential for improvement. These sessions really are to supplement the weekend work, making the pace of these longer efforts feel relatively comfortable. Hill sessions are important for leg strength, particularly delivering power when fatigued and these feature heavily at the start of the schedule. These are great for longer efforts, as they have less emphasis on time/distance so you just work to your body’s potential on that day without feeling disheartened if you’re not at your best nor will you hold back if your potential is greater than you feel! Plus running fartlek on the streets is great marathon prep, since the organic nature of fartlek means you never know when you might have an effort up or down a hill, much the same as being in a race. Short speed sessions are particularly important close to the marathon increase power and speed endurance. This can be extremely low effort and the emphasis is on getting oxygen to your muscles for recovery from the hard days training, whilst getting a little more time on your feet. I’ve noted that easy days (other than Friday rest day) should be 40-75 minutes of easy running. This is an amount where you start to deplete glycogen stores in your muscles, and so can help train the body to further better regulate its fuel intake. My main easy run tends to be 10-12 miles at a very gentle pace (around 8 minute miling) first thing in the morning after only a coffee when I wake up. The coffee wakes me up and I run essentially on empty until I get home. It takes some getting used to but once you are used to it your confidence grows as to home fast/far you can run on low fuel – exactly the kind of conditions you’ll face in the marathon! Obviously again recovery is important, getting good fuel in straight after the run is essential for further adaption.